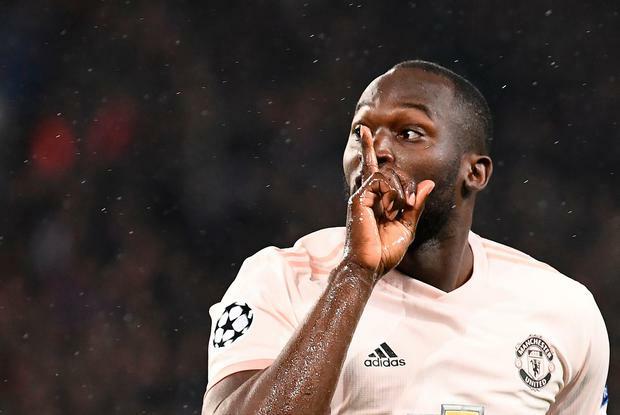 It was only a few weeks ago that there were some Manchester United supporters voicing hopes that the club would cash in on Romelu Lukaku this summer. His touch was not good enough and he was carrying too much weight, went the accusations. Suffice to say Lukaku's critics have been a lot quieter over the past week. There are plenty who will be proclaiming him a hero after a truly extraordinary night in Paris when United completed one of the great European comebacks. When Ole Gunnar Solskjaer urged Lukaku to "step up" in the wake of an injury crisis that robbed him of the majority of his first-choice attack and midfield, not even United's caretaker manager could have imagined the Belgium striker would respond quite like he has. Lukaku's two goals here against Paris St-Germain followed his two at home to Southampton on Saturday and a brace at Crystal Palace three days earlier. There can be few better examples of a player delivering in his team's hour of need. This was point-proving with bells and whistles on top. Lukaku had been left under no illusions that, when everyone is fit, he is behind Marcus Rashford, Anthony Martial and Jesse Lingard in the pecking order but that might no longer be quite so straightforward a decision for Solskjaer. Lukaku is something of a Marmite footballer, one who can blow as hot as quickly as he blows cold, but there is little doubt he knows his way to goal. When Solskjaer talked recently about Martial and Rashford needing to get better at "sniffing" out goals, the Norwegian could easily have pointed them in the direction of their burly team-mate. Both goals against PSG showcased a real poacher's instinct and somehow gave United a foothold in a deliciously crackpot game where they saw barely any of the ball, looked vulnerable defensively but probably believed they could score with every attack they had, too. Solskjaer had drilled home the importance of United scoring first and Lukaku delivered after just 111 seconds. The Belgian was quick to react to Thilo Kehrer's sloppy back-pass and rounded Gianluigi Buffon to score from an acute angle. It was clinical centre-forward play. Managers also need their strikers to gamble and Lukaku did precisely that for his second goal, darting forward to slip home the ball on the rebound after Buffon had spilt Rashford's driven shot from distance. That was the definition of sniffing out a goal. And then there was his work-rate - tireless, his desire unquenchable. He was back in midfield at the end making vital headed clearances. United had been battered and yet found themselves 2-1 ahead and needing one more goal to pull off one of the most exhilarating of all Champions League fightbacks. At one stage, Chris Smalling had made more tackles, interceptions, clearances and blocks than he had completed passes. It was that sort of game. Bonkers and brilliant at the same time. United were certainly much better defensively - better, if never comfortable - once Eric Bailly had fled the scene courtesy of an almost merciful injury and Solskjaer was able to correct his mistake of starting the hapless Ivory Coast centre-half at right-back by bringing on Diogo Dalot and dropping Ashley Young back into defence. It was Dalot who would win the penalty from which Rashford won the game.